1) Do they guarantee you gigs? OK, let's get this straight. 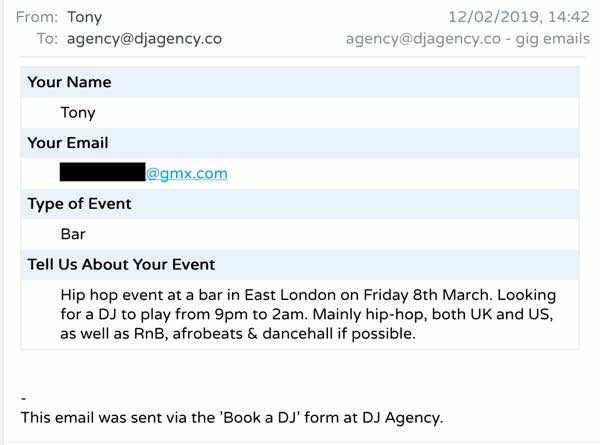 No DJ agency in the world can guarantee you work or a certain amount of work. 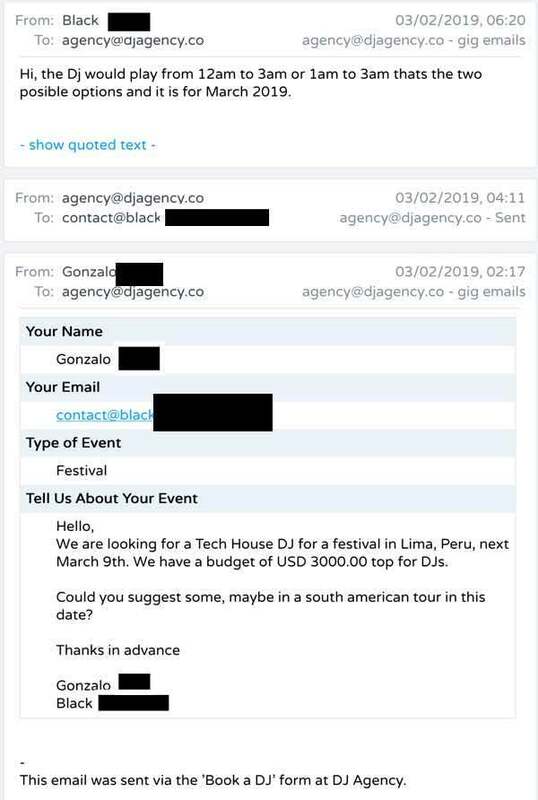 Unless you are a big name like DJ Tiesto who is already in high demand no one can guarantee you gigs. All any agency can do is market you, nothing more. If a company guarantees you work, that's a big sign they're a scam. 2) Did they contact you online? Avoid any agency that contacts you direct by phone or email when you have never contacted them before. 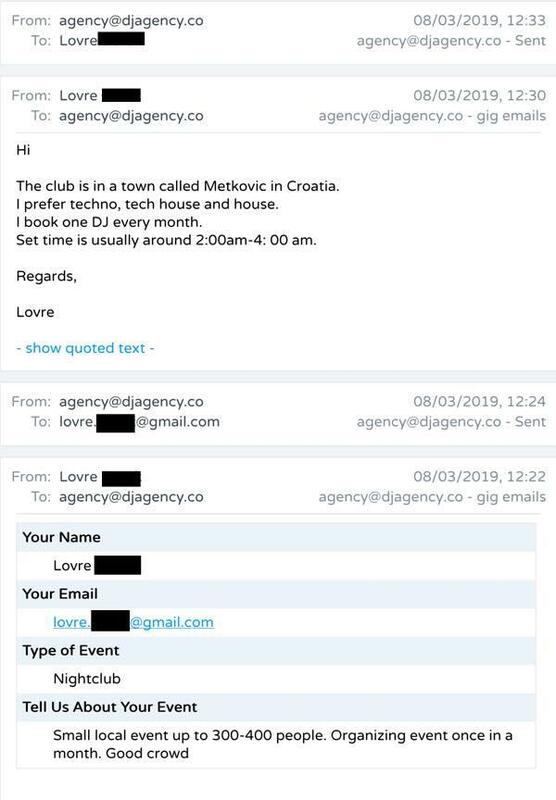 That's not a real agency. You can find a top agency by searching in Google. If you get a random email, phone call or message via social media, say thanks but no thanks. It's a scam. 3) Are they a real company with a proper address? Something to always look out for is an address. There's lots of scams that pop up all the time. They tend to hide their address by using a PO box. Always check to see if the company has a real address on their website. We're not saying all using PO boxes are dodgy, but hiding their address may mean they're a scam agency. 4) Do they claim high web traffic stats? We could list lots and lots more, but you get the idea. There is not many DJ sites that get as much traffic as we do. Be very aware of agencies and their web traffic claims. 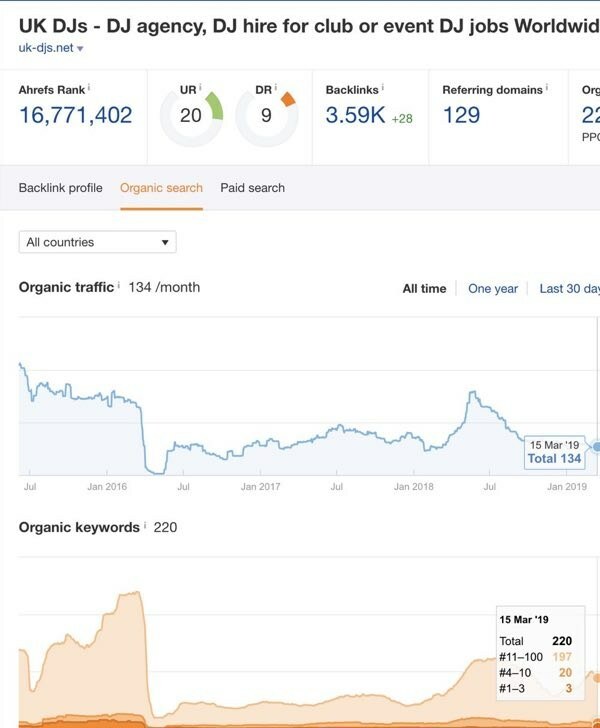 As a further example, using a leading SEO tool (AHREFS) we compare our traffic with a rival (at random) UK-DJs.net. They have a traffic score of 134 and a total of 227 keywords. Our traffic score is 1809 with 1200 keywords. As you can see, we get much more traffic than they do. And ours is high quality traffic that will result in jobs or bookings. We are also upfront about our traffic and happy to show figures from GA (Google Analytics). Over the last year we have had over 472,000 page views (which is great for a DJ site). 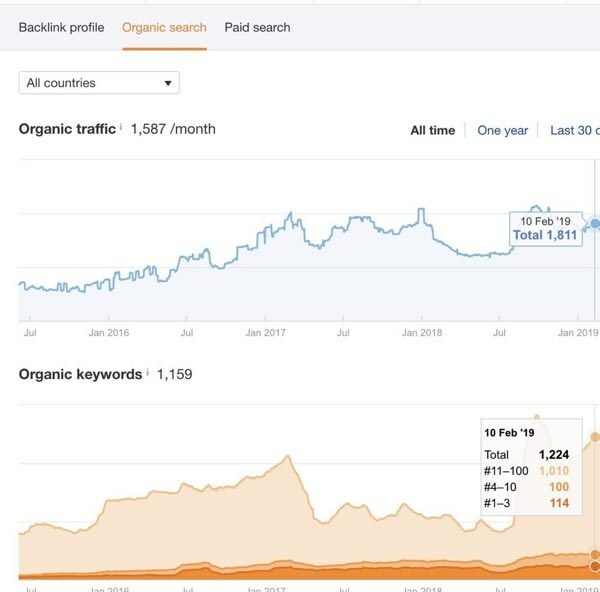 Make sure you look into this and ask for proof of traffic before joining any online agency. 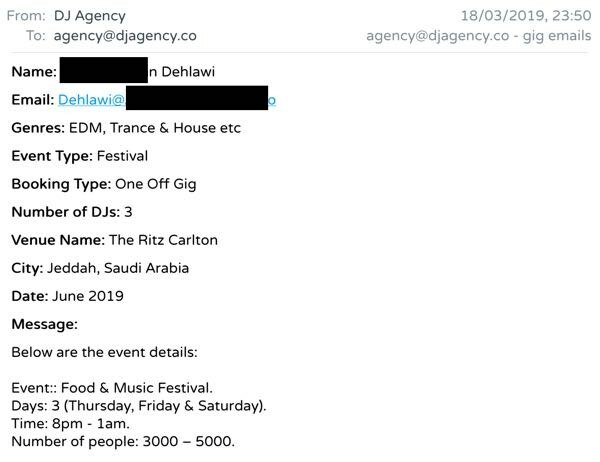 5) Are their DJ jobs real or fake? Let's put this out there. Anyone can post a job on their website. That does not mean they are real. But how can you be sure they are real or fake? Let's go back to the previous section for a moment. If an agency works really hard on their SEO and gets high "targeted" rankings, it's easy to get job requests. However, if their web traffic is not very high or their keywords right, where are they getting these jobs? They must be fake. 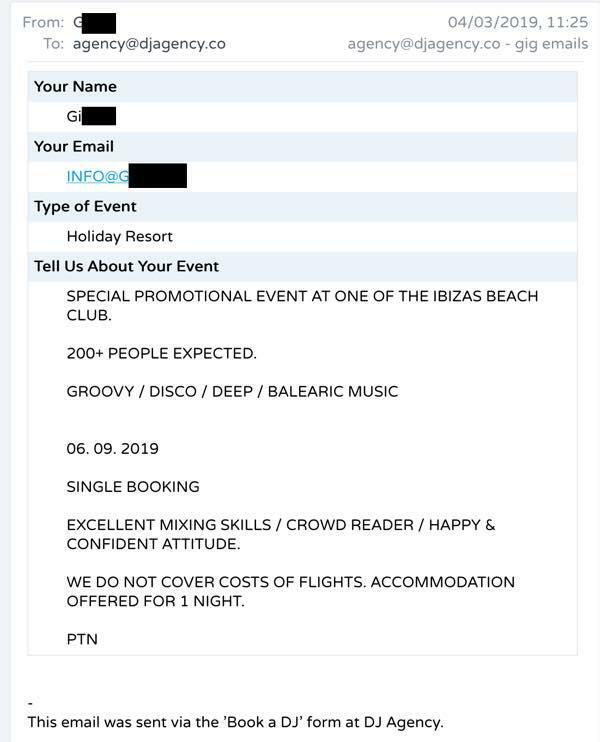 We have seen quite a few DJ sites posting fake jobs. As a result of this, we sometimes get asked if our jobs are real. As you can see by our web traffic and SEO, yes, they 100% are. 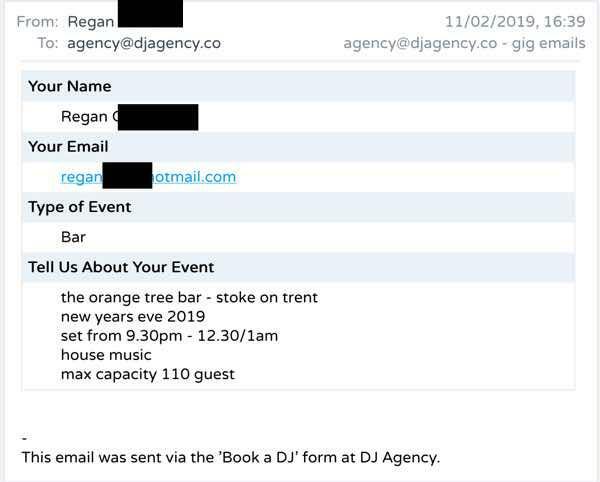 We are top for DJ jobs and DJ prices, so of course we are going to get jobs :-) As well as good SEO we take the time to contact venues to see if they need DJs. It's always good to be proactive. Please be careful and do not always buy in to job posts as most are fake. We are always happy to show our job requests and have added some screenshots below of some recents one we have posted on the site. 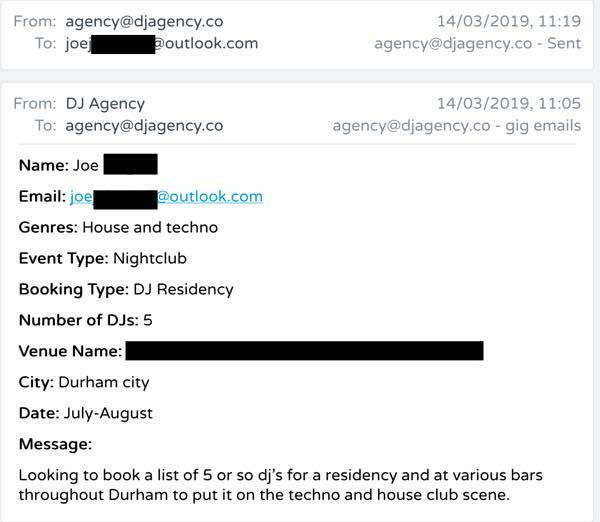 Screens are for jobs in Liverpool, Saudi Arabia, Ibiza, Peru, Stoke, London, Croatia and Durham. All advertised in the last month (between Feb 2019 and March 2019). 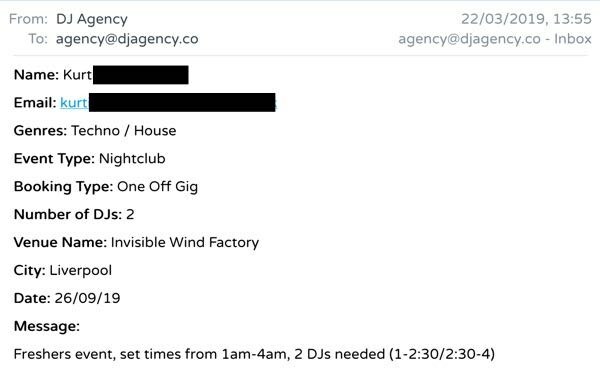 There are many top DJ agencies online. Just make sure you take all the things we covered into account before joining one. Have a good look round first before paying any money. Please remember, like any job industry, no one can guarantee you anything. If you would like any advice, send us an email and we'll be happy to help.